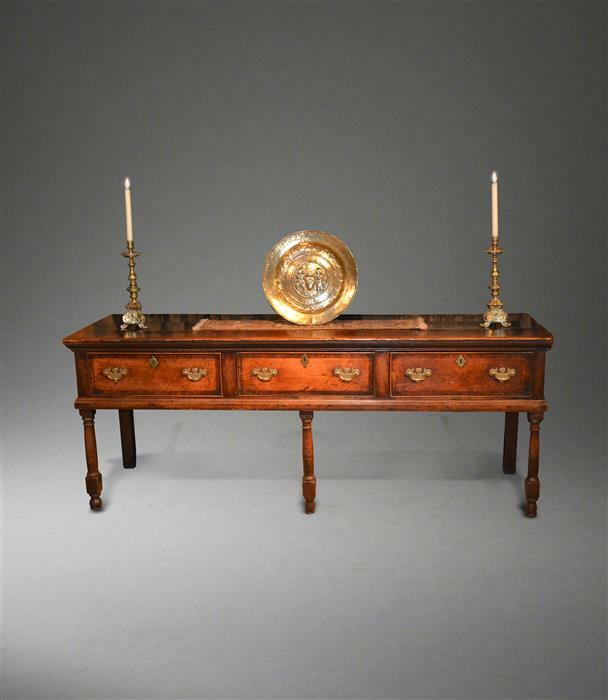 Suffolk House Antiques | An impressive early 18th century oak low dresser. AN IMPRESSIVE EARLY 18TH CENTURY OAK LOW DRESSER. Measuring seven feet wide, this substantial early 18th century oak dresser base is in excellent condition and has superb colour and patination. Full details can be found under "Dressers" and it is a very good price for such a fine piece. It is priced at £3650 which includes delivery within the UK.